Do you switch up your dinner menus based on the season? I do, and I love it because I can anticipate making and eating certain recipes for each season! In the fall and winter I, like most people, like a heartier dinner, lots of soups, and cozy meals for these long and dark evenings. I thought it might help some of you with your meal planning if I shared my go-to winter meals. 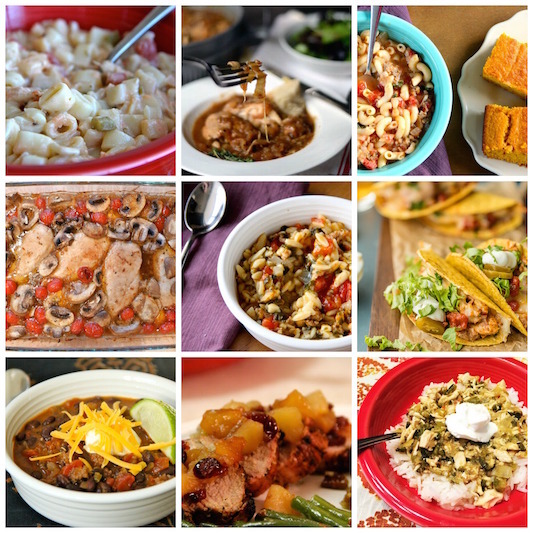 Below are the recipes that I love and make over and over again. I've included 20 recipes with links, which should be more than enough for a whole month of dinners, since each recipe makes plenty of leftovers!